Our heated outdoor pool is open from April to October. We have 134 rooms available, including 3 suites and 24 rooms with balconies. Light, spacious and luxurious, with marine-inspired decor. Bathrooms equipped with double bathtubs or hydro-massage showers. Carré Bistromanie and terrace: a new brasserie that is as chic as it is trendy. Delight in our luxury French cuisine, from breakfast to dinner, indulging in lunch and pastries in between. The Dantès Skylounge Bar with terrace measuring 1615 sq. 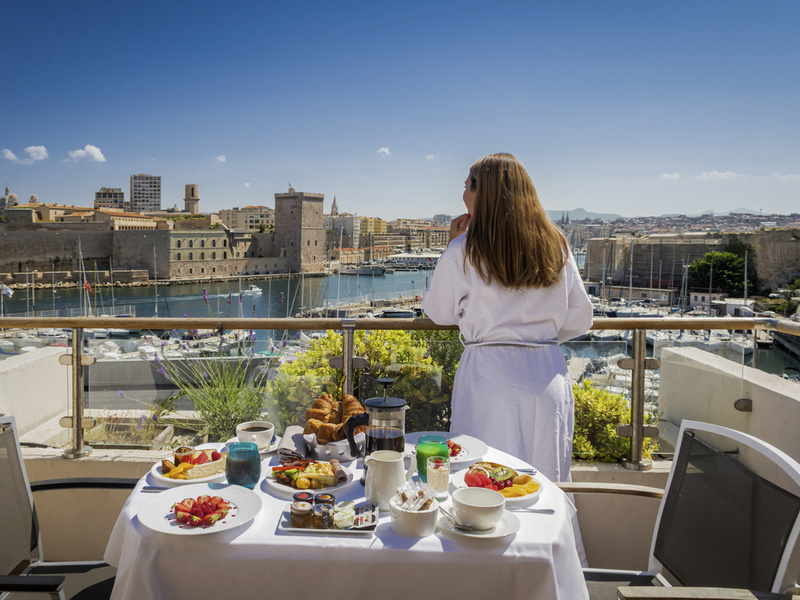 ft. (150 m²) offers sweeping views of Marseilles, the MuCEM and the sea. Curl up in a cozy armchair and take in the spectacular view while our bar staff take care of the rest.